Hungarian wines have been sung and written about for thousands of years, occupying a prominent position in music and literature. The Tokaj wines – famous for their flavor and longevity – were traditionally reputed to be amongst the very best of sweet wines in the world. Unfortunately, during the 20th century, the production of world class Tokaj wines stagnated for almost 50 years. Hungarian wines faded into obscurity. In the early 90’s, a number of small, efficient wineries revived the traditional methods of wine-making. These wineries resumed the production of high caliber wines, reducing the volume and improving the quality. On Makár mountain in Pécs, Hungary, in between the wine growing regions of Szekszárd and Villány, the founders of Tokaj Classic had been cultivating a small vineyard for generations. Due to the difficult political and economic situation after WWII, production of high quality Hungarian wine virtually ceased for a period of 30-40 years. The stagnation of the wine-making industry also took its toll on the winery. The scale was reduced, and wine was only produced for private consumption as well as for family friends. Fellow musicians Martin Schneider and Carl Gustav Settelmeier, made a decision. The musicians, who were widely traveled and had tasted a variety of wines from different countries, came to the unanimous conclusion that this old winery was a diamond in the rough, just waiting to be polished, and decided to take its future into their hands. With great care, they modernized and refurbished the entire operation. Oak barrels were replaced, new vineyards in the best locations were purchased. To round out the range of wines, the musicians bought grapes from other growers. The revived winery was named Villa Makár. The musicians also developed a fascination for another wine growing region of Hungary – Tokaj. The decaying manorial legacy of the once famous Tokaj wineries is evident in even the tiniest village. Behind nondescript cellar doors, ancient underground cellar systems branch out, extending for many kilometers. Traces of the glorious past are still visible everywhere. In the historical village of Mád, the musicians refurbished an old estate and acquired vineyards in premier locations Király Hegy (King’s Mountain), formerly owned by the Hungarian high nobility, a region with a wine growing history dating back over 400 years. 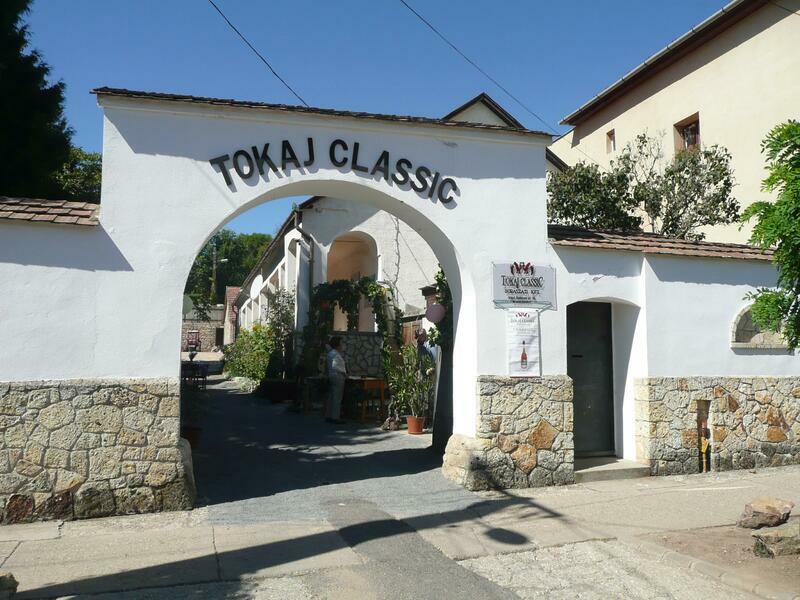 The brand name “Tokaj Classic ” evolves…”Musik und Wein” is founded as the official distributor for “Tokaj Classic Winery Ltd.” and “Villa Makár” in Germany. For the musicians wine making becomes a passion. Treating and handling grapes as well as wine is comparable to teaching music students. Talent is recognized and promoted, Redundant growth is contained and brought to shape, whereas character is brought to light and emphasized. Attention is paid to the slightest detail and new interpretation is always sought. As in a duett, the partnership of the grape varietals is finely harmonised. Each vintage is its own composition, maintaining its individual character. As for Tokaji Aszú, the “classic”, its unmistakable composition is handled with traditional methodology. The botrytis-affected, hand-picked grapes are added as “puttonyos” to the Furmint wine. It is through an artful cuvée that the “King of Wines” attains its concentrated taste embedded in high acidity and residual sugar. To learn more about the methods of producing our wines and the special art of aszú winemakingcontinue here.